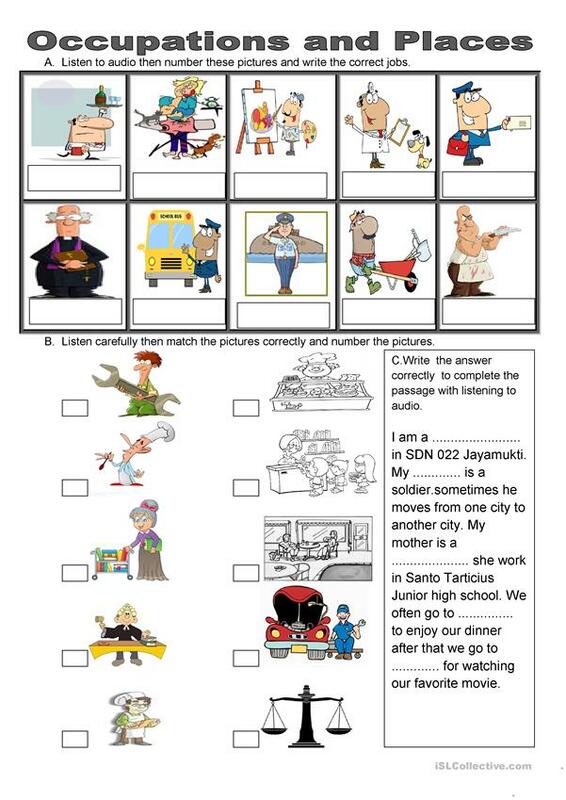 This downloadable worksheet is intended for elementary school students, kindergartners and nursery school students and students with special educational needs, learning difficulties, e.g. dyslexia at Beginner (pre-A1) and Elementary (A1) level. It is useful for strengthening your pupils' Listening and Speaking skills. It focuses on the vocabulary topic of Jobs, work. I am a mother with three sons and a part timer instructor at English course. nice to see your suggestion in my worksheet applied. thank you and have a nice day.